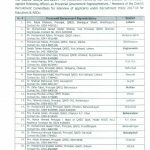 The EDO (Edu) and DMO will jointly identify the schools for allocation of posts. 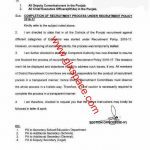 The EDO (Edu) will notify the schools where posts of Educators are to be shifted with the approval of District Government and the same shall be placed on Notice Board in the offices of EDO (Edu) and DEOs before interviews. Further it may be placed on website and the re-allocated posts shall be reflected in the budget book of the district. 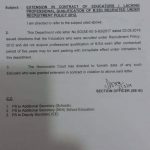 A copy of the Notification which you have issued in compliance of Section 10 (b) of Recruitment Policy 2013 be furnished to this Department within a week positively. Dear Rohan PPSC ki jobs kay result taqreeban daily update hotay hain aap check karain. shumaila jee plz mere qust keun nahi post ho rahe? shumaila jee plz bata dain ppsc ki is ki jobs 2014 ka result kab aay ga? shumaila jee in par apply kaise kar sakte han? 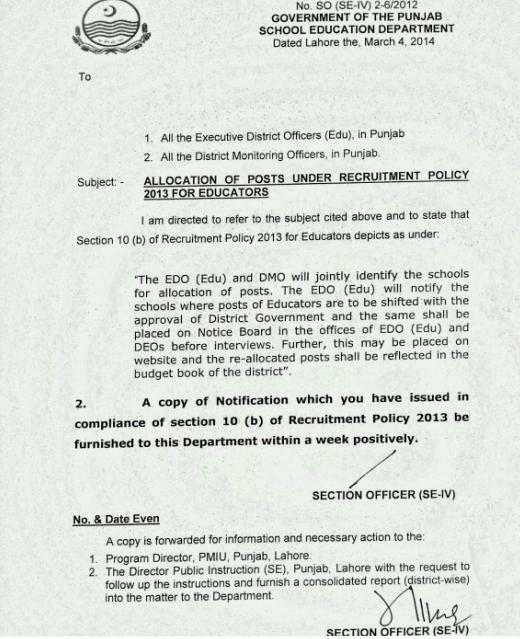 Dear Rohan apply to pehlay hi kia ja chuka hay sirf yeh Allocation of posts ka letter hay. 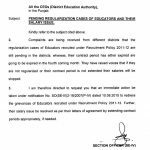 Dear Abid, iss allocation ka matlan hay jahan jahan vacant posts hoongi un ki detail hasil ki jai gi takeh un per appointment ki ja sakay. 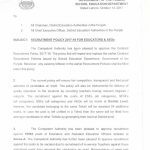 salam shumaila jee..........kaisi hain app?shumaila jee arts seats to chli gai,par ab ap plz bata dain k ppsc ki teaching jobs kab tak aain gi.plzzzzzzzzzzzzzzzzz.bohat maharbani ho gi.bye. Dear Rohan jab nai jobs aien gi to main share kar doon gi filhal to pehlay wala process hi complete nahin hua. 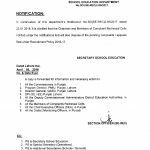 dear sister pls bata den allocation of posts educators 2013 ka jo notification howa hay us ka matlab urdu men bata den thanks.